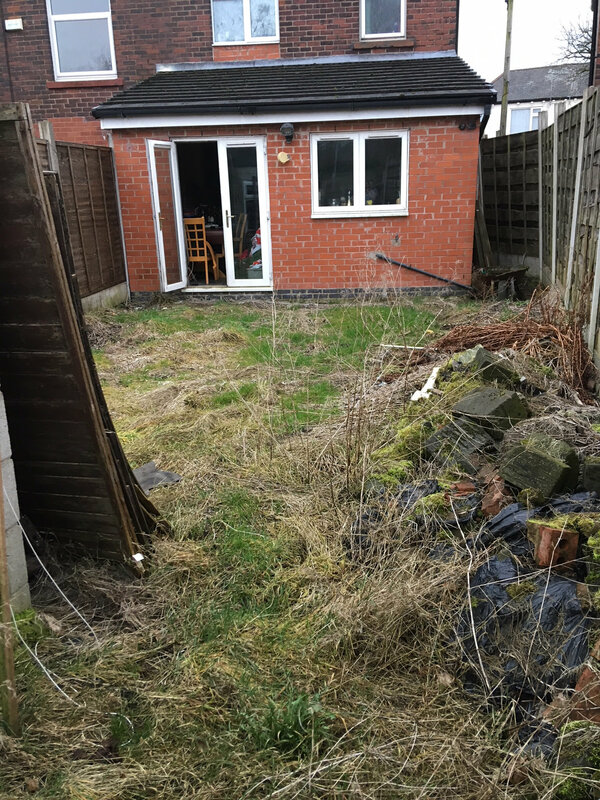 Hi All, I am hoping you can help me begin to transform my jungle into a garden. It is set to get worse now that the milder weather is upon us so it is likely to get very high! I have inherited £1,000 and intend to use it all on the garden. I just want somewhere to sit out in during the summer months and have a place to hang out my washing and maybe even have some plants/flowers to attract the bees. Its 20 ft by 12 ft. Once I have had it all dug up and get to the soil, what would I need to do? Well that doesn't look as bad as your description made it sound . You'll need a plan - where do you want your sitting area? Do you want it in morning sun, evening sun, shade? Look at which parts of the garden get the sun and at which time of day to help you decide (remember that the sun rises and sets further North in the summer and gets higher in the sky than it does now). What else do you want or need? A path down to the bottom of the garden? A shed (not sure if the out-building at the bottom of the garden is yours), a greenhouse, a rotary dryer or posts for a washing line? Sketch a rough design. Think about what style you would like - that (and budget) will dictate what kind of paving etc you choose, and what kind of plants. 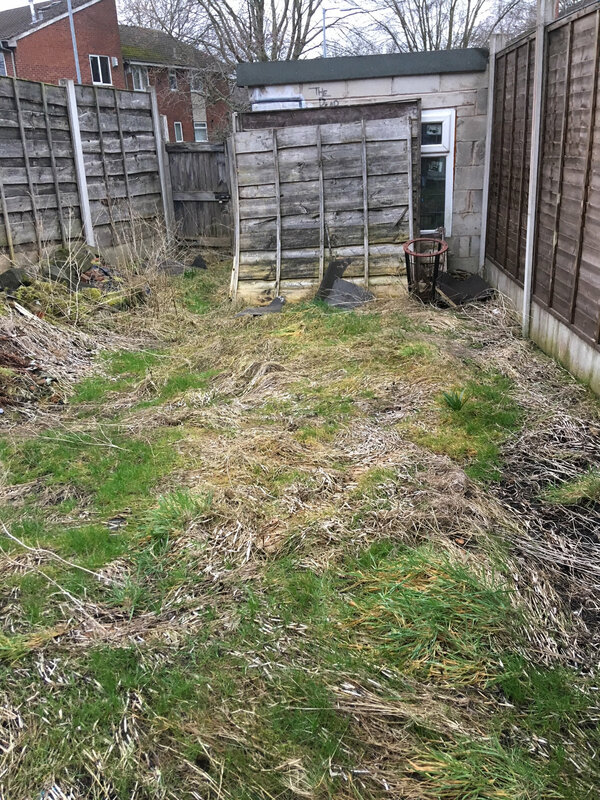 Then clear the rubbish and get the building work/hard landscaping done first (paths, patio, fence repairs/painting, etc) before you start on planting, making a lawn etc. Look at books, internet etc to get ideas if you're stuck for inspiration. I'd love to see progress pictures! Thank you for your responses. Its bleak in Bolton today. The next time the sun comes out I will take note of how it hits the garden. I would have hard surface on an area that size. Paving would eat up your money, shingle cheapest, different types of surface, wood stone. removable rotary washing dryer, large plots, work better than lots of small ones. Go round other peoples gardens, National Garden Scheme,local Hospices,Hospitals, last weeks Gardeners World.